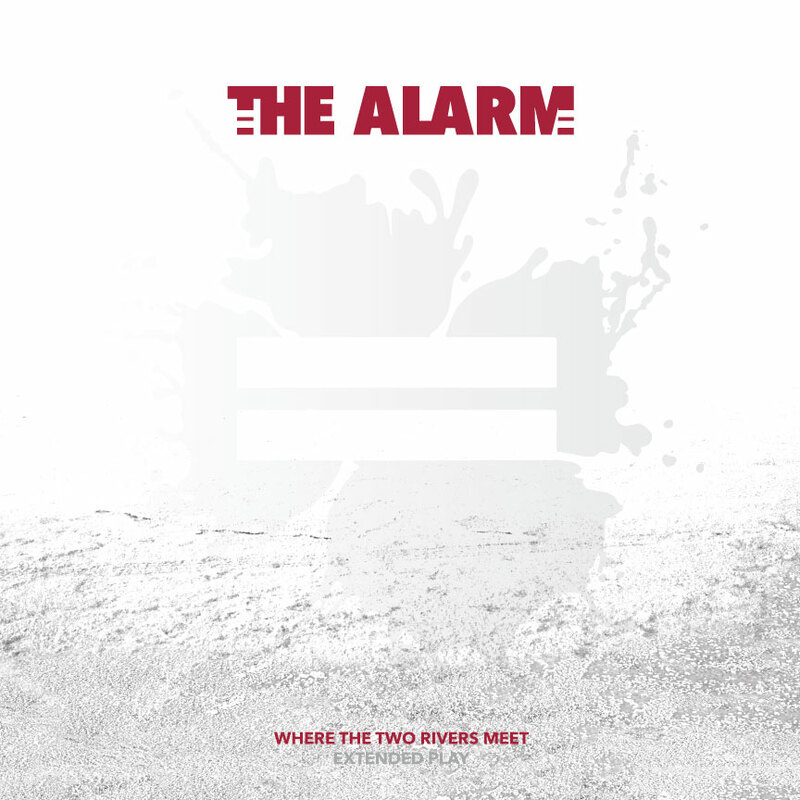 Saturday April 21st is World Record Store Day and also the day for the release of a brand new 8 Track Vinyl Limited Edition Mini Album from Mike Peters and The Alarm = Where The Two Rivers Meet Extended Play. 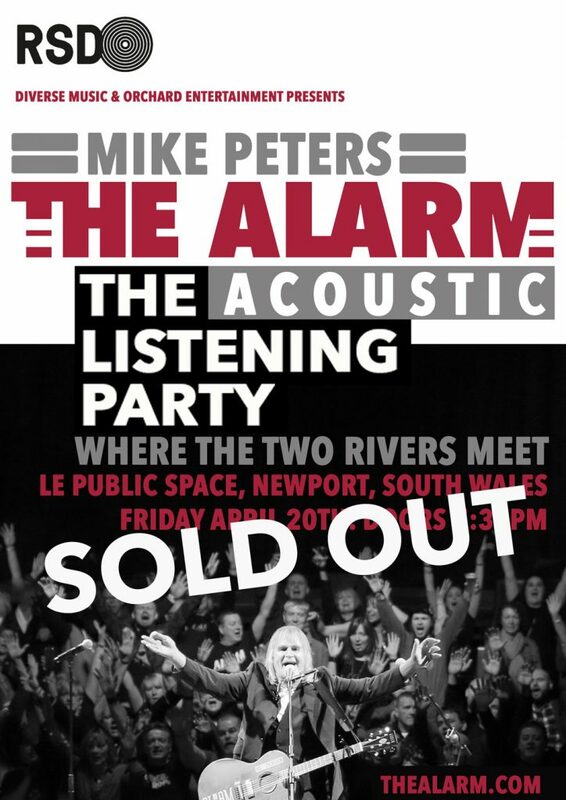 To kick off the RSD Festivities and the Transatlantic Tour on the evening of Friday April 20th, Mike Peters will perform an acoustic concert at ‘The Listening Party‘, Le Public Space, 14 High Street, Newport, South Wales, NP20. (Doors @ 7:30PM, Website http://www.lepublicspace.co.uk). The Listening Party (In partnership with Diverse Music and Orchard Entertainment), will allow 100 fans a chance to hang out with Mike Peters and get a first ever listen to the Where The Two Rivers Meet Extended Play in full, along with an exclusive sneak preview of songs from the new Alarm album that is scheduled for a June 29th release. At The Listening Party, Mike Peters will be signing copies of a unique Where The Two Rivers Meet inner sleeve, which fans will be able to add to their purchase when Record Store Day opens officially at 9.00am. (These unique inner sleeves will be available only at the Listening Party and other official Mike Peters Record Store Day signing sessions). Where The Two Rivers Meet Extended Play is a Limited Edition that will be released exclusively on Record Store Day April 21st and is the prelude to a brand new album release scheduled for June 29th 2018. Where The Two Rivers Meet Extended Play has an acoustic and electric side that features an incredible collaboration with The Cult / Coloursøund guitarist – Billy Duffy on the brand new song Blood Red Viral Black. There are 8 songs in total including a brand new recording / mix of live favourite Two Rivers coupled with Transatlantic, The White Count and Year One which runs at 8.55 minutes in length, making it the longest song in Alarm history. Only three of the eight tracks will appear on the forthcoming new album. The artwork was conceived by Mike Peters and Daniel Shearn and features a spot varnish cover image with full colour inner sleeve.